September 28 is the big day. 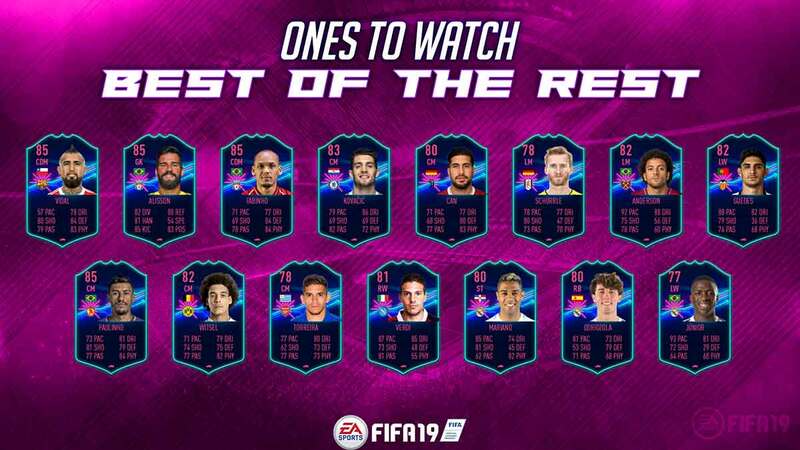 Not only will FIFA be officially available worldwide, but EA have also added a cherry on top by announcing that Friday will be the release of the official Ones to Watch (OTW) items. These dynamic player items, which get upgraded alongside a player’s in-forms and Man of the Match items, have been fan favorites since their introduction in FIFA 17. An immensely exciting transfer window, coupled with beautiful new item designs, means the OTW hype shouldn’t be dying down anytime soon. Even with a short transfer window, the potential pool of OTW candidates is enormous, but we think there are a few frontrunners. Remember, investing in Ones to Watch items can potentially pay huge dividends -- but that's a topic for another day. Right now, we’re keeping it focused on predicting the likely 23-man squad, so let’s get right into it. Bio: With the arrival of Ronaldo, the Juventus attack was looking a little stuffy and it was Higuain who had to go. Nevertheless, the Argentine had a solid scoring line in the Serie A last season, and definitely deserves a spot on this list. 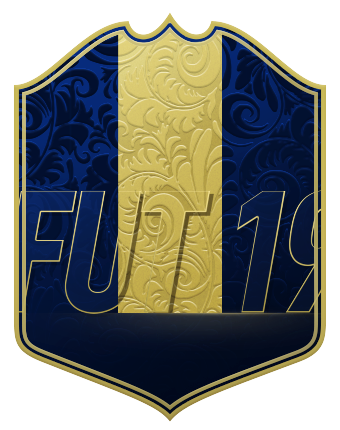 Outlook: If Higuain can produce half of what he has over the past few seasons this item will be an excellent edition to any FUT player's club. With the current finishing mechanism a player like Higuain will be invaluable, but definitely prepare to pay a premium for his services. Bio: It was only a matter of when and where Mahrez would transfer. The former Premier League champ will try to help Manchester City repeat their title winning feat making this item one to watch for sure. 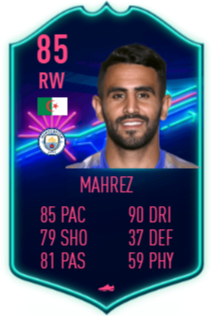 Outlook: A lot of FIFA players are already talking up Mahrez, and his silky skills, passing and shooting will make his OTW item highly sought after. The Algerian also picks up solid minutes in a side with tons of fixtures which gives Mahrez some chances to be upgraded. Bio: Inter have not been shy when it comes to splashing their cash, but the acquisition of Nainggolan came as a shock to many football fans. A Champions League campaign returns to the San Siro, but Roma also qualified so other reasons must have swayed the midfield maestro. With a possible ax to grind, get ready for a very interesting dynamic item if included. Outlook: In recent Inter games, Radja has taken over a CAM role which sets this item up perfectly for quite a few upgrades. The opportunities will be there, and with tremendous upside this man should be able to justify his price. Bio: Following his manager to Chelsea, Jorginho is looking to right the ship for the London club after a tumultuous 2017/18 campaign. As one of the best talents to move in the window it only seems logical that he’ll find himself with an OTW item. Outlook: With a goal in the PL opener, Jorginho has shown he is a threat. You can’t ask for much more from a midfielder when it comes to OTWs. Let’s hope his form can continue. Bio: An injury to another Inter signing Sime Vrsaljko means this OTW defender slot is wide open. The Colombian's move to Atletico to replace the aforementioned is high profile enough; however, his place in the OTW promo will face stiff competition from the likes of Stephan Lichtsteiner. Outlook: His previous season in the Eredivisie produced some quality informs, as well as a very tidy Team of the Season. This shows he has the quality, but it will be a matter of weighing his price against his starting opportunity to see if this item will be worth it. Bio: A long time FUT favorite, Sokratis Papastathopoulos has ancored many defenses while at Dortmund. 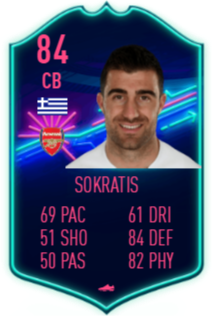 In the off season, the Greece international decided to take his talents to London where he hopes to prove his mettle, and slot into a OTW spot. This spot is also hotly contested, with Lichtsteiner and Yerry Mina hot on his tail. Outlook: Although a pace downgrade has neutered his appeal in some circles, his quality is still apparent. Arsenal has endured a rough start to the season, yet if they can sort out their backline and navigate the post-Wenger depression of the next couple months Sokratis may be able to scrape together a few informs. Bio: Heading back to the San Siro and another free transfer, Stefan De Vrij is helping to fill a void at high profile CBs transfer this window. There were a lot of similar transfers in terms of price at this position; however, the ex-Lazio man’s high rating should warrant EA’s selection. Outlook: Over the past couple of years De Vrij has picked up Team of the Seasons, but he has also only managed one inform in his FUT career. Be wary of his item, but one more upgrade would give him that aesthetic pace upgrade. Bio: Anytime a player heads to Real Madrid it makes worldwide news. There were four transfers to the Santiago Bernabeu that merit your attention, yet none bigger than Thibaut Courtois. With his pedigree, tons of eyes will be on him and we think EA’s will be too. Outlook: Although I think the ex-Chelsea stopper is a favorite for the OTW, we are not too sure about his value. His size and stats have made him a strong FUT GK for a while, and now with the Real Madrid badge expect the price of this item to be sky high. Bio: His Team of the Season was amazing last year, and hopefully the former Corinthians star can garb himself a Ones to Watch so we can keep his hype train rolling. Barcelona should definitely get one man on this list, so its either Arturo Vidal (but that pace...) or him. Outlook: With a base item that already packs a significant punch his OTW will fetch quite a fair price. Investors should be wary though considering he has to pass up another young potential star in Ousmane Dembele for game time. Bio: Just like the Madrid situations, Liverpool have three players who could pick up an OTW item. With Alisson already having an OTW in FIFA 17, and Fabinho playing too defensive, Naby Keita becomes are man. Outlook: With the fluidity of Liverpool’s midfield there should be ample opportunity for Keita to showcase his attacking prowess. If you want proof just look at the string of informs he put together two years back. Bio: With the ex-Chelsea goalkeeper already on the list it seems only fitting his replacement would also snag a spot in the 23-man selection. Kepa’s move makes him the most expensive GK transfer ever, and a price tag that enormous should see his face rocking the neon background. Outlook: Chelsea’s defense has been pretty stout during the fledgling PL season, and with Europa League and other domestic fixtures there are plenty of chances for upgrades here. Bio: Like father, hopefully like son. Justin Kluivert’s move to Roma made headlines after the Ajax product put together quite a season in the Dutch top flight. He has the pace and the skills to be exactly what EA look for in low rated OTW items. Outlook: Roma is another side in multiple competitions and this bodes well for a OTW player’s potential for upgrades. Kluivert is not a guaranteed starter; however, his relatively cheap price would make him a low risk bet. Bio: We felt that Fulham’s transfer window merited a OTW inclusion. It was a tough choice between Seri and Schurrle, but the Ivorian won out, especially after that wonder goal. With all around solid stats, this is exactly the type of player the community would appreciate. Outlook: If he keeps scoring bangers expect Seri to be very popular. There is definitely goal potential, yet will his chances of informs be diminished by Fulham’s ability to win games? Bio: Shakhtar are a factory of Brazilian talent, and one of their latest product Fred saw a big money move to Manchester United completed this window. Man United didn't do too much business this summer, but just like Madrid when they do it makes headlines.  With a modest rating and large appeal this would be a hard player for EA to pass up. Outlook: Loads of pace and above average dribbling for his position means Fred will be a tidy player for the first few months of FUT. As a United player this item will sell at a premium, so investors will most likely need to bet on a couple of upgrades for solid returns. A true high risk, high reward asset. Bio: After only a year with Inter Joao Cancelo penned a deal to travel to reigning Serie A champions, Juventus. He has the pace and flair of an OTW item that the community would love. Outlook: An in-form already, Cancelo seems to be enjoying himself in Turin. With tremendous attacking quality, the Portuguese full back could rack up the assist which could very well lead to a few more upgrades. Bio: Ligue 1 did not have very many options, but after a stellar World Cup we think Aleksandr Golovin will make EA’s choice easy. Needing diversity from the French league, the Russian international gives us a life line without having to force a less desirable inclusion. Outlook: With a nice set of skills and solid baseline stats, let’s hope Golovin can get enough match time to showcase his potential. Like a few other on this list that lack of consistent game time could be a downfall. Bio: With a superb campaign with Watford in 2017/18, coupled with a high flying first three games, Richarlison announced himself as a force to be reckoned with in the PL. With a lot of midfielders on this list, a low rated attacker with good quality should be welcomed. Outlook: As stated above, Richarlison started this PL season in sitilating form. After a red card his output started to dip, but we still have hope for the young Brazilian. Bio: With the Russian League license limited in this year’s FIFA many were worried about their OP friend Quincy Promes. Yet, in a move that started brewing late in the transfer window, everyone's favorite Dutch winger was snatched up by Sevilla. Everybody should breath a sigh of relief since this 5 star skiller should be in line for a One to Watch item. Outlook: He is going to be expensive. No two ways about it; however, there should be plenty of chances for him to prove his worth throughout the season, and those 5 star skills means he has a solid price floor. Bio: Circling back to the French Ligue, Kehrer’s move from Schalke to PSG turned more than a few heads. A lot of people are high on this young lad, and although there are quite a few defenders ahead of him, the former Schalke man checks a lot of boxes for OTW candidates (i.e Young, Defender, Low Rated, Ligue 1). Outlook: Considering he is fourth or fifth on the PSG center back depth chart, we see Kehrer more as OTW SBC req fodder when the time comes. He has great potential in real life, but not sure about his upside on FUT. Bio: The Bundesliga is an interesting predicament on this OTW predictions list. They could have upwards of four or five OTW players; however, they could also just have two like we selected here. With tons of midfielders already coming out of the Serie A and Premier League, we believe Plea will get the nod as a solid middle of the road striker option. Outlook: This item should be one of the cheaper OTW choices , if included. So far he has received some decent first team minutes, and that combination means we think he could be a solid low risk, high upside asset. We wanted to put together a few additional possibilities. While we certainly feel that some of these are more likely than others, you never know how EA will make their final selections. 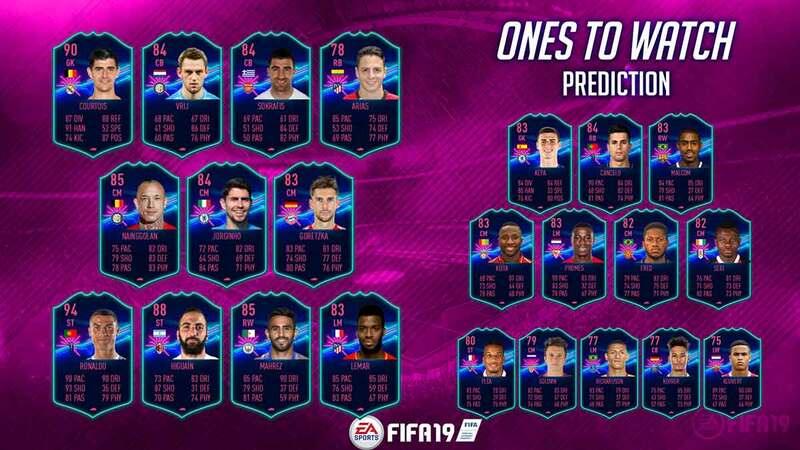 In the end, predicitons are just predictions, so please share your thoughts in the comments or continue the discussion on Twitter.